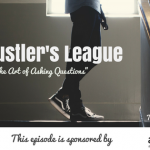 TSE 535: TSE Hustler's League-"Become An Expert In The Details"
Are you keen to details? Or are you just too assuming your prospects will understand? 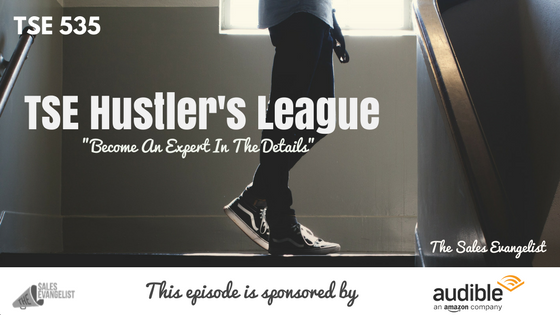 Today’s snippet taken from our past training session over at the TSE Hustler’s League is focused on being expert in the details. Where in your sales process can you better focus on the details? Get a better grasp on not only their statistics but really dive more into the challenges they’re facing. This way you can put together an even more compelling solution. You can be technical, but if you’re able to do a better job of getting the details out of them, every account would be a slam dunk for you. Do a better job on the front end by really uncovering all their pain and most importantly, getting them to feel it. Help draw out emotions from them. Make sure your prospects understand your product and what that means for them, exactly what value you’re bringing to the table. Make it seen in their mind why it’s important for them to have your product or service. Paint a picture by telling a story. Stop assuming your prospects already know these things and they understand. Go deeper into details and when you do that, you get better results. This was originally conceptualized by Toyota but this principle has been used by a lot of companies today because it’s so effective. The idea behind this is to dig into the details. For each problem, ask why five times so you can go deeper to the core root of the problem until you can offer a solution. The deeper you go, the better you understand. The root problem here is that this person is unorganized. For sure, there’s going to be another issue other than the pothole. 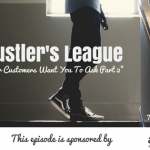 Dig down into the deepest level of your customer’s whys. Go into the details.